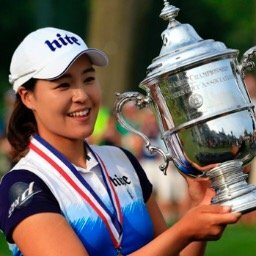 A big congratulations goes out to In Gee Chun for winning the U.S. Women's Open. For most of the day it appeared to be a two player race between Stacy Lewis & Amy Yang, and while everyone was watching those 2 players, In Gee snuck up on us all to claim the major championship. She will be someone to watch next year, as she seems destined to follow in the footsteps of Hyo Joo Kim and Sei Young Kim. In case anyone missed the photos that I took during the event, here is link #1, and link #2. 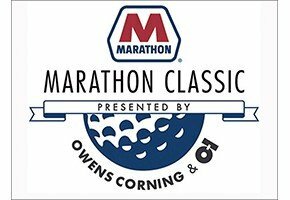 The LPGA moves to the state of Ohio for the playing of the Marathon Classic presented by Owens Corning and O-l. 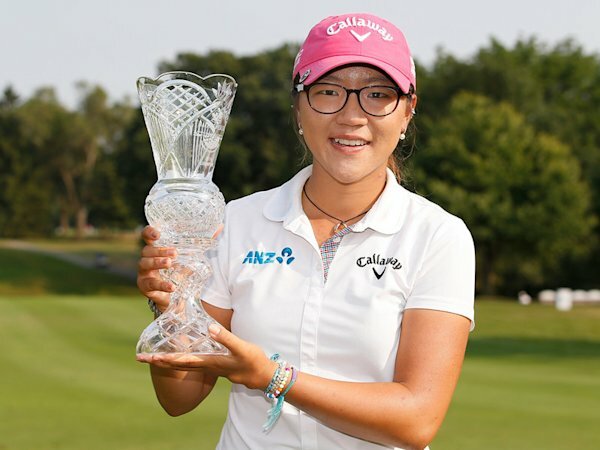 Many of you may remember last year's exciting finish when Lydia Ko birdied the final hole to eek out a one stroke victory over So Yeon Ryu. Cristie Kerr finished 2 strokes further back. The Marathon Classic announced last month a new 3 year agreement with the LPGA that extends through 2018. Since its inception in 1984 the tournament has raised $8.7 million for 140 northwest Ohio and southeast Michigan children's charities. My strength of field rating is 66.5%. That is up from 50.5% last year. 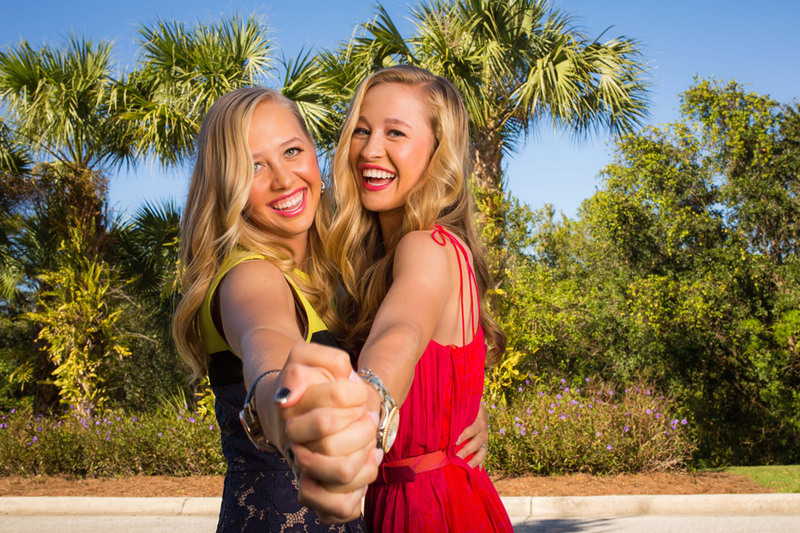 The players not teeing it up this week include: Anna Nordqvist, Karrie Webb, Suzann Pettersen, Julieta Granada, Pornanong Phatlum, Lizette Salas, Amy Yang, Charley Hull, Sandra Gal, Catriona Mathhew, Hee Young Park, I.K. Kim, and Mariajo Uribe. GC July 16 2:00-4:00 p.m.
GC July 17 2:00-4:00 p.m.
GC July 18 2:00-4:00 p.m.
GC July 19 2:00-4:00 p.m. I am currently in 2nd place among the 22 participants. It was a horrible week for players that had active cut streaks. Shanshan Feng (48), Anna Nordqvist (27), Sandra Gal (24), and Hyo Joo Kim (22), all missed the cut. For Hyo Joo it was her first missed cut in an LPGA event ever. So Yeon Ryu now has the longest active streak with 29. Brooke Henderson's 5th place finish at the U.S. Women's Open earned her a paycheck of $141,396.00. She has now earned $458,866 for the year in just 8 events. That would rank her #17 on the 2015 LPGA money list. She would have to finish with the equivalent of 40th place money at the end of the season to earn her tour card for 2016 without going to Q-School. Last year's 40th place finisher made $447, 658, so it appears that she may have made enough already. She will have more opportunities to pad her numbers as she will be playing in both the British Open and the Canadian Open. Her average earnings per start of $57,358.00 would rank her #6 on the LPGA. The attendance in Lancaster, Pa. for the U.S. Women's Open set an all time record for a USGA women's event. More than 134,000 people were on hand. Stacy Lewis now has three 2nd place, and three 3rd place finishes this year, but does not have a victory. Her 6 top 3 finishes leads the tour. In Gee Chun leaps up from #20 to #10, while Amy Yang vaults into the top ten moving up 6 places to #9. Brooke Henderson catapults all the way from #45 to #32. 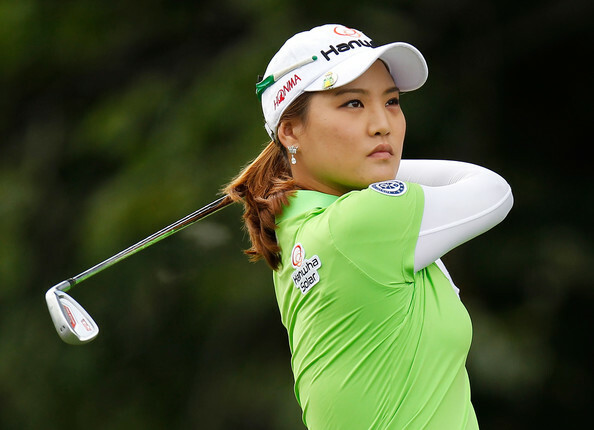 Inbee Park continues to lead with 2,909 points. 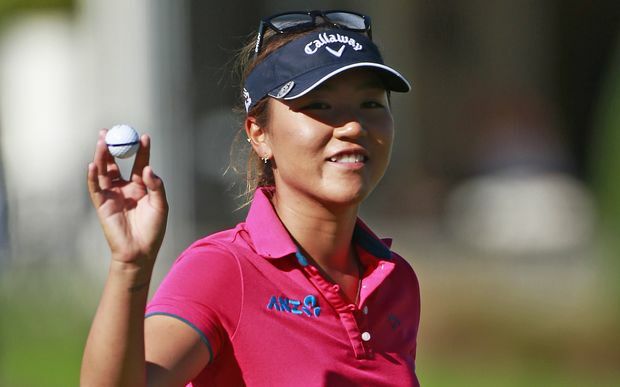 She is followed by Lydia Ko with 2,315 and Sei Young Kim with 2,148. South Korean golfers have now won 3 consecutive tournaments, and 10 this year. No other country has had more than 2 players win. Yani Tseng has missed 3 consecutive cuts and has missed 8 cuts this year. She has fallen all the way down to #83 in the Rolex Rankings. Update #1 - Michelle Wie has just withdrawn. For complete scoreboard see link on top of this page. Rookie Min Lee finished at T12 at the US Open. She moved from #261 to #180. Her best result this year. Ariya J. did well at the beginning of the year, but recently also missed consecutive cuts. Michelle Wie announced her withdrawal today. Considering her condition at the USWO I am surprised it took this long. Stacy Lewis is the only American in the Rolex top-ten. If Brooke Henderson remains inside the top 40 in the Rolex rankings could that get her a special invitation into the Evian Championship in September?